Steven C. Reitz, MD - Central Ohio Surgical Associates, Inc. | Surgical care you can trust. Steven Reitz, MD is a board certified General Surgeon with an active clinical practice at locations throughout the Columbus metropolitan area. 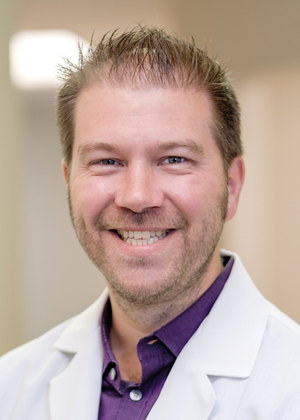 Dr. Reitz received his medical degree from the Medical University of Ohio at Toledo, and completed his surgery residency as Chief Academic Resident at Mount Carmel Health System. Dr. Reitz is a core faculty member with the Mount Carmel Surgery Resident Program as well as serving as the Assistant Program Director. He has several publications in peer reviewed journals. He is an active member within the American College of Surgeons as well as the American Society of Breast Surgeons. He continues to serve as President of Central Ohio Surgical Associates. Dr. Reitz has a special interest in robotic and advanced laparoscopic approaches for anti-reflux/foregut and hernia procedures, in addition to breast oncology. He lives in the Blacklick area with his wife and daughter, and enjoys coin collecting and anything related to automobiles.